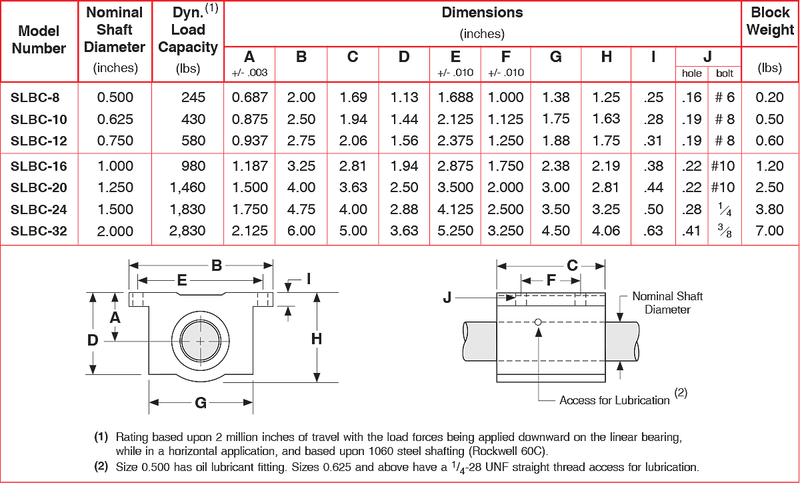 The SLBC series has one closed linear bearing and two wiper seals per pillow block. These aluminum pillow blocks are self-aligning in all directions, and have a screw for adjusting pre-load which eliminates the clearance between the steel shaft and linear bushing. Each pillow block housing provides flat mounting surfaces which make the mounting, and aligning, process easy and accurate in a mechanical positioning system.